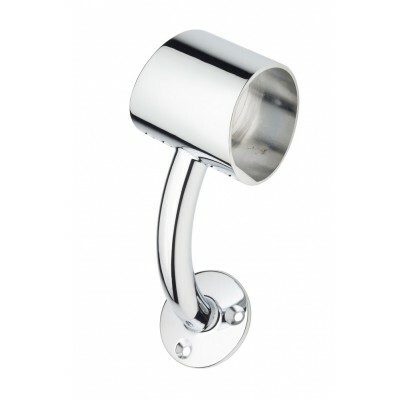 Chrome-plated Fusion wall-mounted handrail connector or handrail wall bracket. Made by Richard Burbidge, this high quality connector enables you to attach a handrail to your wall. Ideal for adding extra handrails or providing additional support to the Fusion boxed handrail kits (KIT03 and KIT04). Comes in packs of 1.